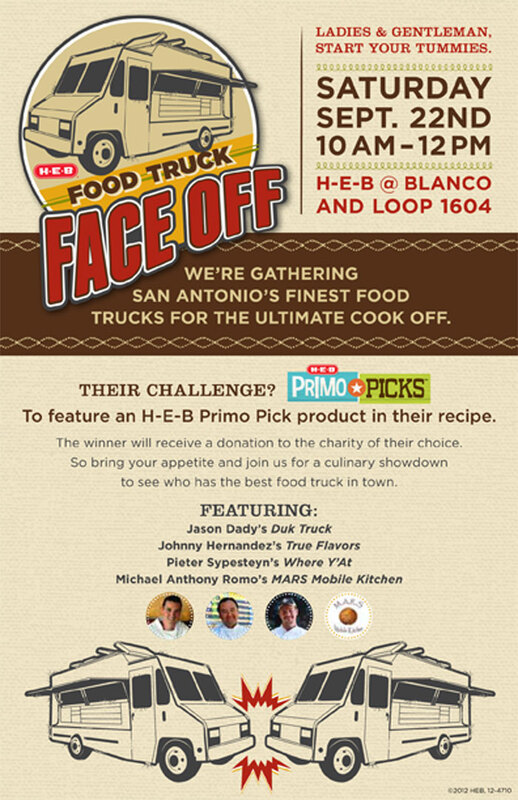 The Weekend Gourmet: Anthony Bourdain in San Antonio...and the HEB Food Truck Face Off! 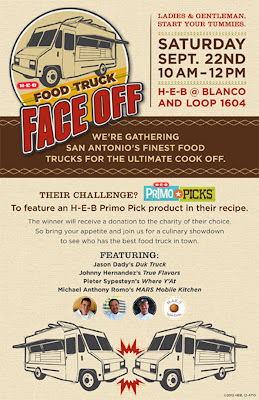 Anthony Bourdain in San Antonio...and the HEB Food Truck Face Off! I started my new job on Monday...and I jumped right in with a huge deadline looming next week! That means I don't have a new recipe to share just yet. I literally haven't been in my kitchen since last weekend....which is making me twitchy! Luckily, I've got some great posts coming up. 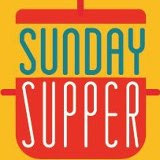 I'll be featuring a yummy apple cobbler for this week's apple-themed #SundaySupper, then I'll be sharing a Houston Texans-inspired fajita burger featuring Nolan Ryan Beef that's perfect for gameday eating. 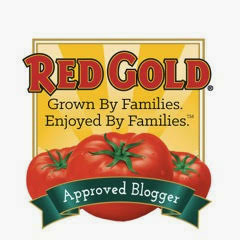 I'll also share a fun taco recipe when I guest post for my friend Isabel at Family Foodie next Tuesday! In the meantime, I wanted to share some exciting news with my San Antonio/Austin readers. 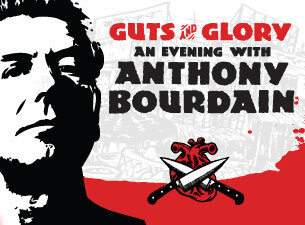 Chef Anthony Bourdain's Guts and Glory show is coming to San Antonio's Laurie Auditorium on Thursday, November 8th! I'm a huge fan of No Reservations, and I love Tony's sharp wit and irreverent sense of humor. I'm so excited to be attending this show and will share the experience in here in November. The good news is that some tickets are still available...so I hope to see some of you there! 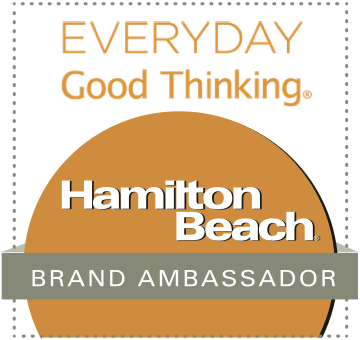 The winner will receive a donation to a local non-profit organization of their choice. Following the competition, food trucks will be open for normal business. 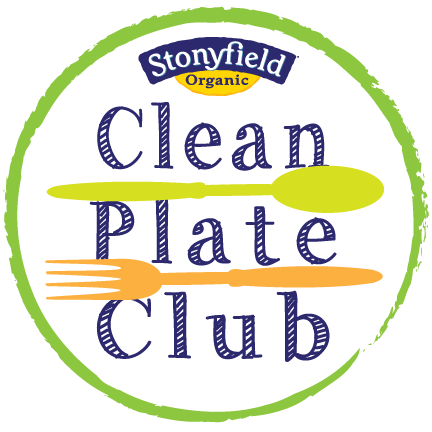 This is a fantastic Saturday activity for families in the community, all while checking out these fabulous food options! For my local readers, come out to the HEB located at Blanco & 1604 between 1000 a.m. and noon this Saturday. I'm so excited to try all the great food, and I'll be taking tons of pictures to share here next week. By the way, you still have until 1159 tomorrow evening to enter my Aunt Sally's Pralines giveaway! Simply visit Part 3 of my New Orleans food weekend article and leave a comment telling me you want to win a dozen free pralines -- six each of traditional pecan and triple chocolate. These pralines are FABULOUS...and you can't win if you don't enter! It's the next best thing to actually going to New Orleans, folks...these pralines are the real deal! Good Luck on your new job! Sounds like you have a lot of Fun Foodie events coming up. Have a great weekend! Looking forward to seeing new recipes.